Data is a powerful force – one that is transforming nearly every aspect of our lives. Intel’s transformation into a data-driven company means that we deliver technological advancements to enable our customers to extract the maximum value from data. This, in turn, helps them grow and transform their businesses. Nowhere was the importance of data more obvious than this weekend at Oracle OpenWorld. At every turn, as I prepared for my Oct. 1 keynote, data was at the heart and soul of our future and the future of our partners. For more than 25 years, Intel and Oracle have collaborated on solutions that drive technological innovation and transformation to support the enterprise-class cloud. I outlined in my keynote how data is revolutionizing businesses, networks and cloud computing. For example, companies such as Perform Group are revolutionizing the sports industry by leveraging big data and artificial intelligence (AI). Joao Cerqueira, big data solutions architect at Perform Group, joined me on stage to share recent breakthroughs, including using real-time video analytics to analyze player movements, making it possible to prevent injuries and improve performance. With massive amounts of data constantly in motion that must be readily available, 5G networks will be essential. To unlock the potential of 5G tomorrow, businesses must transform their networks today. That includes broad-scale deployment of network functions virtualization (NFV) and software defined networks (SDNs). Communications service providers will also require network agility and efficiency in the face of new 5G service demands. Communication service providers such as AT&T understand the impact this will have. Melissa Arnoldi, senior executive vice president for AT&T Technology & Operations, joined me during my keynote to share how AT&T recognized the need to transform its network to be successful and remain competitive. They continue to collaborate across the industry in area such as SDN, NFV and cloud technologies. They have also collaborated with Intel and Oracle to move thousands of large-scale databases to the Oracle Cloud, running on Intel® Xeon® Scalable processors. Next, enterprises must handle new data workloads and seamlessly move among public, private and hybrid clouds. Likewise, cloud service providers must continue to improve performance, security and agility across their infrastructures. That is why Intel introduced the Intel Xeon Scalable processor family in July: the biggest data center platform advancement in a decade. The new processor family enables data center transformation with the features customers need to take advantage of data-driven opportunities. With Intel architecture fueling Oracle solutions, Oracle can cater to any workload – traditional applications as well as cloud native workloads of high-performance use cases – to support the needs of their customers. Additionally, at OpenWorld, I shared more on Oracle’s exciting deployment in a test environment of Intel field programmable gate arrays (FPGA)-based encryption and decryption solutions, including an early pre-release prototype board that we are calling the Intel® Arria 10 FPGA-Based SmartNIC. It pairs an Intel® Arria™ 10 FPGA with an Intel® Ethernet Controller XL710. This will enable the combined benefits of our most advanced Ethernet technology with the flexibility of our FPGAs for customized workloads – in this case, encryption. I demonstrated this early pre-release prototype board that delivered the same unencrypted performance levels for data with full encryption, with no degradation to the performance of the CPU. This makes it possible for organizations to maximize the CPU for business-critical, revenue-generating applications without the CPU overhead of encryption. It is truly an amazing development. Finally, Intel and Oracle are collaborating to revolutionize how data is managed, specifically by evolving in-memory computing. Intel and Oracle demonstrated pre-release Intel persistent memory working in two different systems with actual Oracle workloads. Unlike conventional DRAM, the future Intel persistent memory is big, affordable and persistent, and much higher performance than SSDs for persistent data. The preliminary results show great promise, including the ability to rapidly gain insights on large datasets while detecting fraud, data theft and network intrusion. Well-established industries are in the midst of large-scale transformation as a result of the pervasiveness of data – it is exciting to deliver such technological advancements from Intel and our partners to enable them to address the opportunities ahead. As the development of world-changing innovations like enterprise-class cloud computing continue to accelerate the pace of change at work, home and everywhere in between, it may not always be clear where the future is going. But it is clear that this is where that future begins: data. 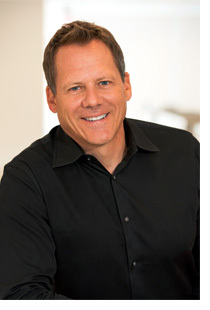 Doug Fisher is senior vice president and general manager of the Intel Software and Services Group (SSG). Follow him on Twitter at @DougWFisher.